In Kit Welchlin’s video blog, he talks about leadership and Workforce 2020. What kind of leader will you be? How do you successfully lead all of the generations? 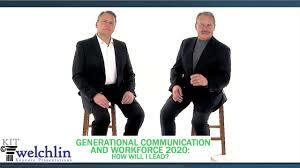 Listen as Kit gives you several helpful tips to successful communicate with all the generations.